Philippe's field of research includes issues related to population circulation (migration, refugees, forced displacement and borders). He is presently working on several socio-geographic projects on perception and representation of borders and territories, and production and management of public and private space. He is keenly interested in the relationships between cartography, art, science, and politics. Since 2006, he has participated in cartographic-artistic projects in a number of European countries. He is currently conducting participatory research on how to develop an "experimental cartography". 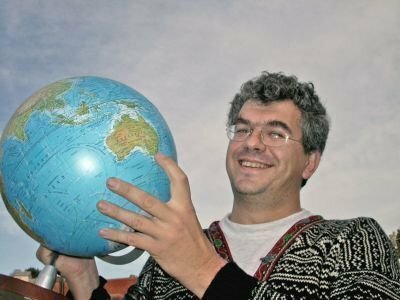 He earned his diploma in geography from the University of Paris-Panthéon-Sorbonne and worked at Le Monde diplomatique from 1988 to 2014 where he co-authored five geopolitical atlases (2003, 2006, 2009, 2011 and 2013). Between 1996 and 2008, he also headed the cartographic department of GRID-Arendal, a local office of the United Nations Environment Program (UNEP). He now co-administrates the site with visionscarto.net Philippe Rivière which began in 2014.